Women’s Month Community Hero – Mama Gloria! South Africa is full of amazing world changing women and we are so excited to launch a new campaign in partnership with Elizabeth Arden SA to share their stories with the world. These women are the hidden heroes of our communities who far too often go unnoticed and under appreciated. Every month we will honour one of these amazing heroes, share her story with all of you, and bless her with some gorgeous goodies from Sparrow Society and Elizabeth Arden. 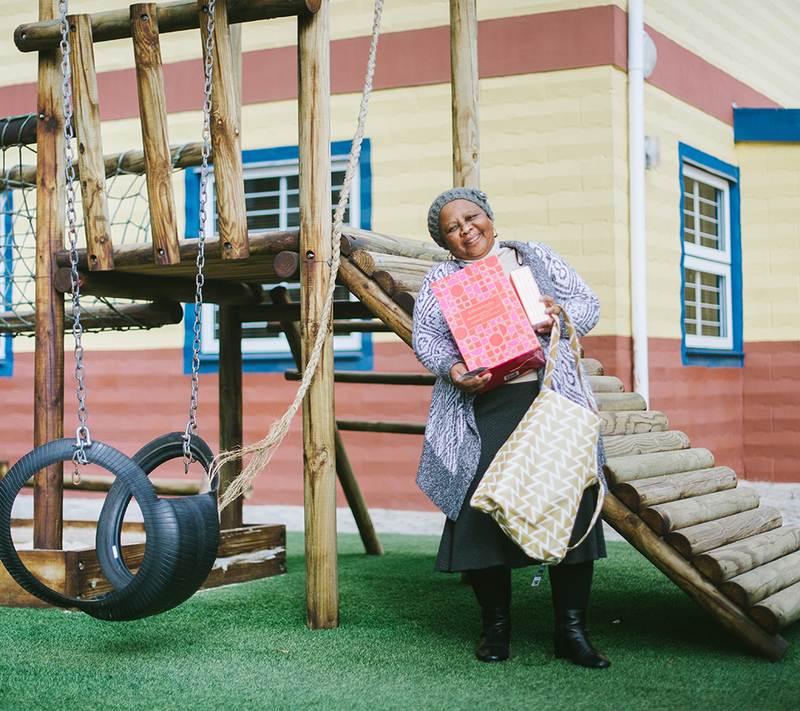 For women’s month we are so excited to honour the incredible Mama Gloria – our first Sparrow Society and Elizabeth Arden Community Hero! In 2001, Mama Gloria started a support group for HIV+ ladies and realized that what these women needed was someone to look after their children during the day so that they could work, get proper education and treatment. She started with 8 children in her garage and today she cares for almost 300 HIV affected and infected children at Khumbulani Day Care and Community Center in Khayelitsha. In the afternoon, she hosts an after care program for 120 primary school children as well as hosting an HIV support group for 30 African Mamas, giving them the support and help they need. “Changing the World One Child at a Time”. We salute your dedication and service to your community! Sparrow Society gets its name from the social nature of the sparrow bird. Where there is one, there are always others close by. They know they are stronger and can achieve more when they work together. They use this strength in numbers strategy to protect themselves from larger predators, gather food and go from surviving to THRIVING! That is the heart behind the Community Hero Campaign. Together, we are BETTER! This entry was posted by Kate Senekal in Community Hero Campaign, Featured and tagged Community Hero, Elizabeth Arden. Sparrow Society and Everyday Artefacts Collab! Elizabeth Arden Collab Bag at Truworths!